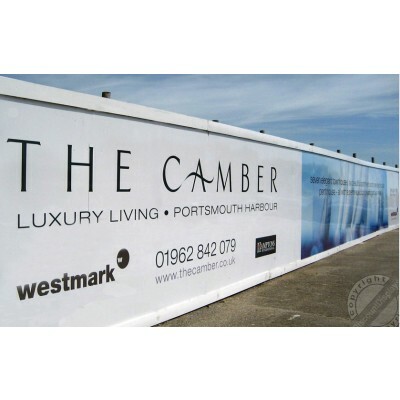 High impact, low cost outdoor advertisement hoardings. Our custom printed site hoardings are ideal for temporary site protection and development advertising, and help to build public awareness for your project, often doubling up as a point for contact information or call to action. Based near London we can supply anywhere in the UK quickly and efficiently, and have been doing so for over 20 years, working with some of the biggest names in the industry. We have our own in-house design and printing studio, backed by experienced operators to ensure maximum control over your design and a high quality end result. We print directly to substrate using vibrant, UV weather-proof inks onto Correx, Foamex, and Dibond depending on your requirements. Use our price calculator or call our team today to get started creating your custom site hoarding.